Gabriel FW Koch did a great job creating an impressive page turning mystery. This novel is well written and filled with intrigue and action that will take the reader to a credible adventure set in New York during the 1950s. I found myself at the edge of my seat more than once as I immersed myself in this plot driven read. The character development was spot on, the pace kept increasing along with the scheming. The dialogue moved the story forward as it developed characters even more. The contrast of what is right and what is wrong within Black’s own conscious added even more to this mystery. 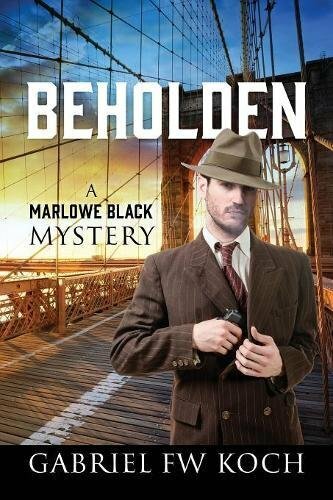 Overall, I found “Beholden: A Marlowe Black Mystery” by Gabriel FW Koch to be a five star awesome page turner. I totally recommend this story to those that love a good detective mystery, and can hardly wait for another one from this author!